All Leagues Megapack contains: Super Liga,Prva Liga Srbije,Srpske Lige (Beograd,Vojvodina,Istok i Zapad),Zonske Lige and Lower Leagues. 2. FMXX - click 'Preferences' > 'Interface' > unticked 'Use caching to decrease page loading times & tick 'Reload skin when confirming changes' > click 'Reload Skin' for first your time. THEN ALWAYS when you download other packs, DO Click 'Preferences'>'Interface'>'CLEAR CACHE then again click 'RELOAD SKIN' AS ALWAYS after downloading to folders. Created By: Serbian FM & Co.
Could you make the France Ligue one and two ss'2018/19 kits ? Look at WIP SS, it’s already working in progress. @hammer9 many kits are updated,but some of them are moved from folder to folder,and also some more alternatives are added.Best way for update is to change full pack with previous one. Where can I get new download mate? Serbia - All Leagues Megapack SS'2018/19 by Serbian FM & Co Relink! (29/10/18) - not SSKCC yet! 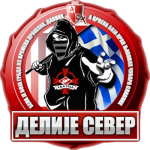 Serbia - All Leagues Megapack SS'2018/19 by Serbian FM & Co Relink! (04/12/18) - not SSKCC yet! @hammer9 pack is update,here's the list as usual. Serbia - All Leagues Megapack SS'2018/19 by Serbian FM & Co Relink! (18/03/19) - not SSKCC yet!